It's that time of year again. Time to make decisions on where to go based on where I can bring my dog. 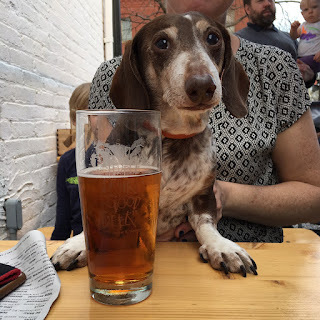 The first pup meet up of Spring 2016 goes to Dacha where Ike and I met up with Nicole and Mister Coco for a cold beer and catch up. Dacha gets crazy crowded on perfect spring and summer days, so keep that in mind if your dog doesn't dig tons of people up in it's space. Mine, loves it. Dacha opens daily at 4pm and is located at 1600 7th Street NW. Room 11 is one of my favorite winter spots, with hearty meals and killer whiskey drinks. But, come spring time, the patio opens and I've got brunch and rose on my mind. My friend Lyn reminded me that Room 11 is also very dog friendly. Seems time her Beast meets Ike. Let's make it happen! Room 11 is located at 3234 11th Street NW, Washington, DC. Hat tip to Reema for this one: "They've even brought my dog treats on a little platter in the past." Plus, they have fantastic cocktails, ramen and a great corner patio to watch life pass by on 9th Street. Pop's Sea Bar: What could be better than hanging on Pop's patio with your pup while swilling Orange Crushes and noshing on peel and eat shrimp? I half expected this bustling French bistro to be anti-dogs, but their outdoor patio is very pet-friendly. It's so busy, try for a table on the outskirts to keep four legged friends from getting trampled on a busy day. The staff is very sweet and brings out water bowls to keep them hydrated. 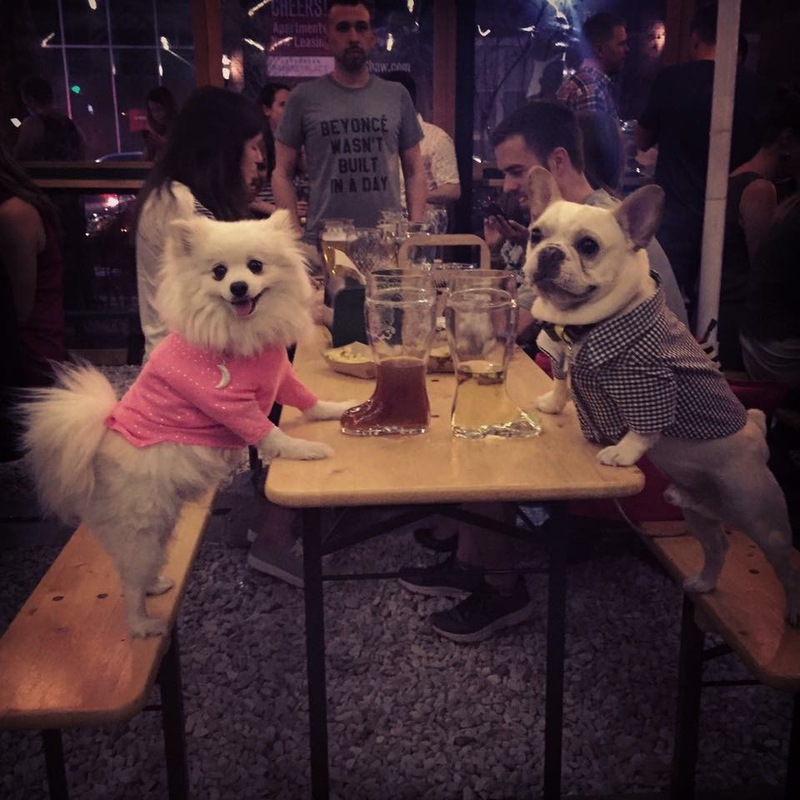 There are only a few outdoor tables at this Italian food mecca, but if you can snag one, they are very pup-friendly. The tables are well-defined spaces, keeping your dog in your space and out of the way of passerbys and busy wait staff. Pearly Dive's bar opens up to a standing room only outdoor patio space that is great for hanging out, enjoying drinks and chatting with neighbors. They always keep a bowl of water outside, so it's a must stop for Logan Circle dog walks. Saint Ex is the OG of Logan Circle dog-friendly patios. I've been going there for sunny neighborhood brunches for as long as I've had Ike. It's especially fun and friendly for weekend brunch. Great spot to bring your dog to hang out on the outdoor picnic tables while you savor coffee and their fantastic breakfast sandwiches. The wifi works well, even when there's a critical mass of people hanging out with laptops. And, if you're headed there for lunch or happy hour, you'll want to check out their pizzas. It's also a two-fer as an "errand" because you can grocery shop for the week. Glen's Garden Market is located at 2001 S Street NW, Washington, DC. St. Arnold's Cleveland Park is located at 3433 Connecticut Avenue NW, Washington, DC. I've written about SER several times... my friends Javier & Christiana own the joint. They have amazing food, drink and atmosphere - not to mention my favorite Donostia Gin and Tonics. But, when spring comes, they also have a fantastic, large patio that is dog-friendly. Who says you can't have fine dining in a fun atmosphere, and include your four legged pals. I'll add to the list as we go to new places or people recommend spots to us. If you've got a favorite, tweet me or comment below and I'll add to the list. 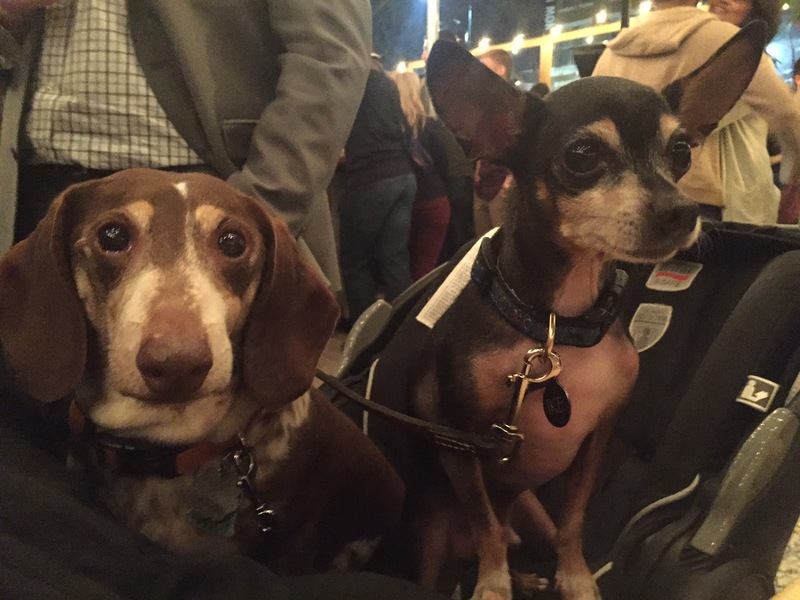 I had no idea we had so many pup friendly places! Medium Rare is one of my favorites, excited to know pups are welcome! If you are looking for help treating your dog's behavioral issues, or just curious about why your dog does what he does, then this Behavioral Series is for you. This segment focuses on what is the best dog food. So, what is the best dog food? I was in Chaplin! It was great! Try their KAKUNI! My boys would lick my plates clean! Maybe one day they'll be calmer, because I'd love to take them out to eat.